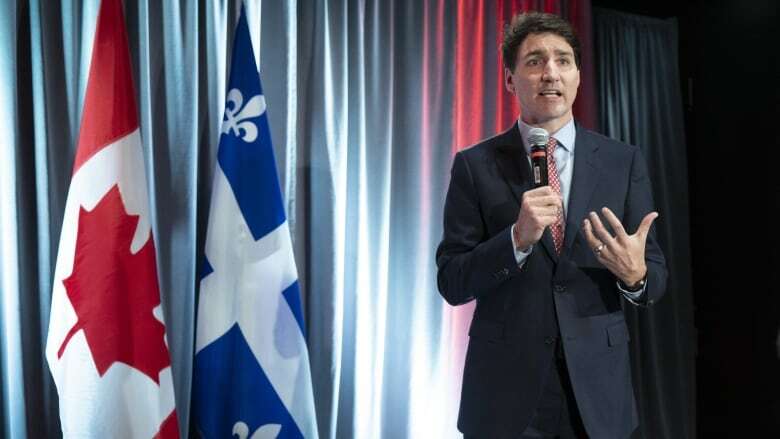 Prime Minister Justin Trudeau and his revamped cabinet meet in Sherbrooke, Que., the start of a three-day retreat to deal with pressing economic, environmental and international issues while setting the Liberals on course for this year's federal election. Prime Minister Justin Trudeau and his revamped cabinet met in Sherbrooke, Que., on Wednesday, the start of a three-day retreat to deal with pressing economic, environmental and international issues while setting the Liberals on course for this year's federal election. Economic uncertainty, a contentious carbon tax, stalled pipelines and a need to diversify trade partners are some of the top domestic priorities, while U.S. relations and rising tensions with China are also on the table. The choice of venue is politically strategic; the Liberals face softening support in some parts of Atlantic and Western Canada, as well as Ontario. To offset potential losses, they're targeting seats now held by the NDP in vote-rich Quebec. Daniel Béland, a political scientist at Montreal's McGill University, said the Liberals are making a splash in Quebec because they see a big electoral opportunity in the 78-seat province. Winning the upcoming byelection in the Montreal-area riding of Outremont would be a significant initial win. "They know that Jagmeet Singh is not doing very well as the leader of the NDP and there are quite a few seats that the Liberals would like to take in the next election," he said. "It would be a symbol to send a strong message that the Liberals are very strong in Quebec and the NDP is facing a decline." Outremont had been a long-time Liberal stronghold, but Tom Mulcair claimed it for the NDP in a 2007 byelection, and it has remained in the party's hands since. The byelection to fill the former NDP leader's seat is set for Feb. 25. Along with the physical presence in Quebec, Liberals are also targeting the region with financial support. Since Jan. 7, ministers have fanned out for more than a dozen announcements worth more than $12 million for projects — some proposed, some confirmed — in the province, ranging from snowmobile trails to business development to infrastructure projects. A number of ministers arrived in the region early to meet with stakeholders, and on Wednesday night Trudeau greeted supporters at a cocktail fundraiser at a downtown hotel, calling for calm and unity at a time of polarized political discourse. "Our capacity to show [voters] we hear them, we're respecting them and we're working together for the right path forward is always going to pull this country together," he said. Anti-pipeline and Indigenous protesters, alongside postal workers upset by back-to-work legislation, demonstrated outside. Among the crowd was Pierre-Luc Dusseault, the NDP MP for the riding. Behind the scenes on Thursday, Béland said the ministers will likely wrestle with a number of issues where the government is vulnerable, including pipeline politics and a carbon tax that's facing fierce opposition from some premiers. The political landscape has changed dramatically on the provincial front, with Trudeau now facing strong Conservative premiers with Ontario's Doug Ford, Saskatchewan's Scott Moe and, potentially Jason Kenney, in Alberta. "That could have a real direct impact on the next federal election depending how that plays out," Béland said. Ford and Moe have already joined forces to challenge the federal carbon tax in court. Béland said the biggest challenge for Trudeau in the months running up to the Oct. 21 election is finding a way to be a unifying force in the divisive debate over developing natural resources while protecting the environment. "It's a difficult situation to navigate, because if you deal with pipeline building, the country is divided over this and it's not just that you have regional divisions. Even people in B.C. are divided. So it's not a simple issue to tackle, and there are a lot of hurdles, and you have Indigenous issues on top of that." Liberal strategist Greg MacEachern said this cabinet retreat is significant given it's the first of an election year, and because there are new ministers and others with new roles at the table. Monday's shuffle saw three ministers moved to new portfolios and two new appointments to the inner circle. With the countdown on to October's vote, MacEachern said the critical objective now is to stay the course: Don't take risks in policy initiatives and emphasize the accomplishments. "You really want to make sure this cabinet is focused on the coming budget, the coming legislative session and then into the campaign," he said. "If there is an internal official motto, it is probably 'Do no harm.'" Cabinet will also face global uncertainties including U.S. President Donald Trump, and rising diplomatic tensions with both Saudi Arabia and China. The meeting kicked off with a special panel with six ambassadors who spoke about the pressing issues for Canada on the international stage. Canada's Ambassador to China, former minister John McCallum, was among them. He said his highest priority was securing the release of the two Canadians currently being held in China — in apparent retaliation for the arrest of Huawei executive Meng — and to stop the death sentence that was recently handed to a third, Robert Lloyd Schellenberg. "I am detrmined to do what I can, and there are various things that we are doing, to secure their release and his life, so our work is consumed every day by these priorities," he said. A release from the Prime Minister's Office said the retreat is being held in Sherbrooke "as part of the government's commitment to take actions that give Canadians what they need to thrive in the economy of today and tomorrow, and that fuels strong economic growth in all regions of Canada." "Quebec is at the heart of Canada's history and our future success, and we will continue to support the workers and industries of Quebec — and those across the country — to build a stronger economy that benefits all Canadians," Trudeau said in a statement. But NDP MP Alexandre Boulerice, the party's Quebec lieutenant, said the Trudeau government has made decisions that are harmful to Quebec. "In recent years, the Liberals have demonstrated that they are unable to fight climate change and tax havens, and are unable to ensure that web giants guarantee local content and pay their fair share," he said. "The NDP Quebec caucus will continue to fight the big battles with and for Quebecers in the coming months and during the next election." Quebec Conservative MP Luc Berthold accused Trudeau of trying to court voters in Quebec while dairy producers, steel and aluminum producers and forestry workers across the province have been hurt under his watch. "Justin Trudeau has brought his team to Quebec in a desperate attempt to shore up support before the next election but Quebecers won't be fooled. They are tired of Justin Trudeau's failures and are ready for a government that puts people first," he said.